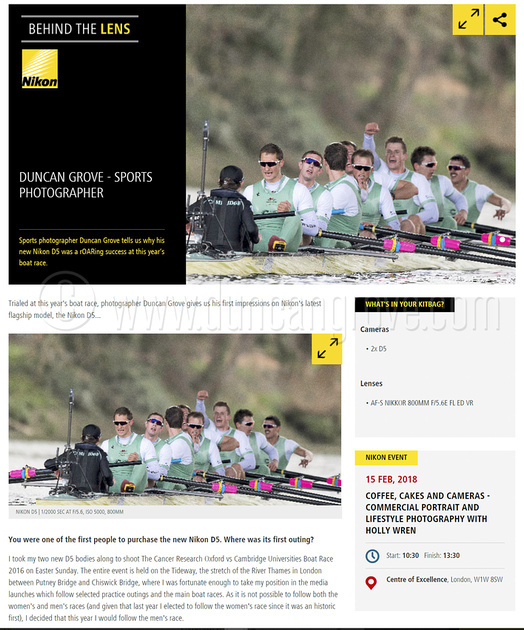 Duncan Grove FRPS Photography Blog » Nikon publish an article about Duncan shooting The Boat Race using his two new D5 bodies. 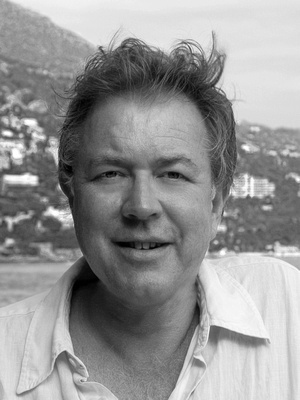 Having heard that the D5 was a step-up from his two D4S bodies Duncan immediately ordered two, hoping to use them for the Boat Race, where good ISO performance is critical. Delivery was touch and go, with the first production bodies arriving in the UK half way through Tideway week (lead-up to the Race itself). Nikon very kindly shipped the first two to Duncan at the Boat Race Media Centre, so he was able to use them during the latter part of the week and for the race itself. Read his initial impressions by clicking on the above image.